Being fully prepared before making the decision to adopt a child with a disability will ultimately help you during your adoption journey. 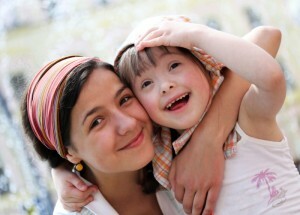 There are lots of children with disabilities who are in need of loving families. However, before making the huge decision of adopting a child with a disability, it’s important to consider all the factors to make sure you are ready. Here are a few things to consider before adopting a child with a disability. If you are considering adopting a newborn, you need to be prepared for the potential of unexpected health defects. For example, a child born with down syndrome may also be born with heart defects that require surgery and weeks of recovery. You must know that you are prepared for the possibilities of unexpected emotional strain and financial expenses. The best thing you can do when thinking about adopting a child with a disability is to take some time to learn everything you can about the disability. There are several books and online resources you can use that will help you to learn. You can also connect with local guilds and associations that will put you in touch with other parents who have children with the same disability as your adopted child. It goes without saying that a child with a disability will require extra care and attention as they are growing. You may also have to be prepared to continue providing care for your child well into adulthood. This is another great reason to connect with parents of older children with disabilities and talk to them about their experiences. Depending on what disability you child has, you may want to eventually create a will that has a plan for who will take care of your child after you and your spouse pass away. If you already have children, you’ll want to talk to them about their new sibling and his or her disability. Growing up with a child who has a disability can be a learning experience for your children. Likewise, you children can also prove to be strong supporters for your child with a disability throughout childhood and beyond. This entry was posted on Monday, March 28th, 2016	at 11:45 am	. You can follow any responses to this entry through the RSS 2.0	feed. Both comments and pings are currently closed.